4697 Tally Ho Ct., Boulder, CO 80301 — $729,000 | Kearney Realty Co.
I’ve just listed this beautifully updated home! Everywhere you turn you will find quality touches & finishes. Some of the outstanding features include: maple cabinetry throughout, four upgraded baths, extensive hardwood floors, beautiful kitchen with granite, stainless appliances & maple cabinetry, high quality windows, etc. Enjoy the wonderful back range views from the master bedroom; great yard with raised beds & a great deck. 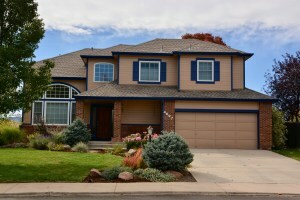 Wonderful neighborhood with a pool and easy access to Twin Lakes Open Space.